The Camrose Flying Club/COPA Flight #137 is pleased to present the COPA for Kids program in conjunction with the Canadian Owners & Pilots Association (COPA). The mission of the COPA For Kids Aviation Program is to provide a motivational aviation experience, focusing on an introductory flight in an aircraft. These flights are provided free of charge by the local chapters of COPA (COPA Flights) to any youth aged 8 to 17 inclusive wishing to become a Junior Aviator. 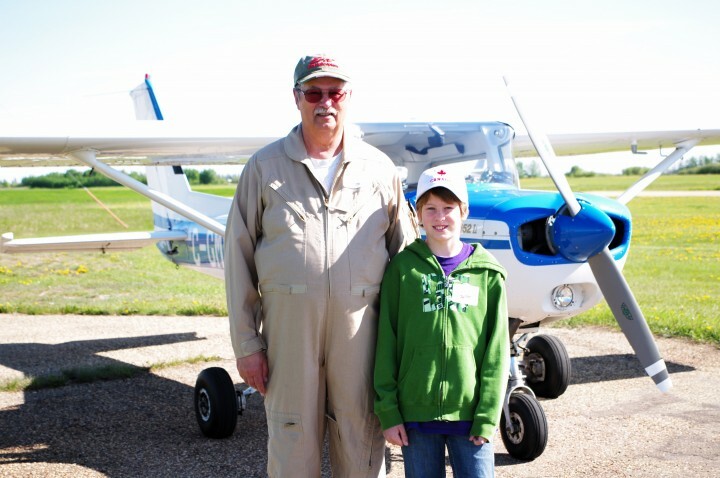 Since 2009, Camrose Flying Club/COPA Flight #137 members have donated their time and fuel to inspire young aviators through the COPA for Kids Program. To date, this program has provided more than 250 youth from Camrose City and County, with their first flying experience. To allow Pilot Volunteers to spend Father’s Day with their families this year, the next COPA for Kids program will be considered for Fall 2018.